Came across this image over at ebay. It was getting sold without much detail besides a date. Took sometime to identify the place. But in the end , its distinctive look, trees growing on the bridge, made it easy. 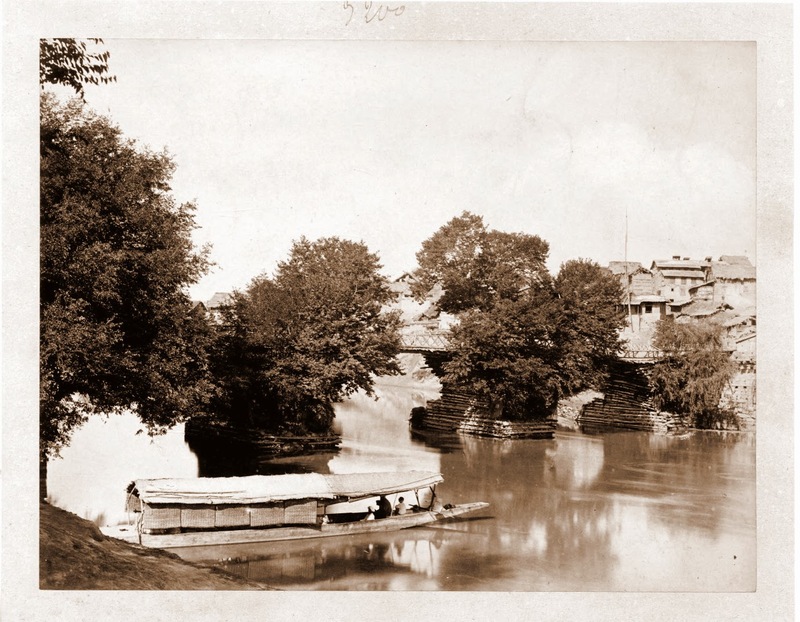 About the Bijbihara Bridge, Pandit Anand Koul in his book 'Geography of The Jammu and Kashmir State' (1925)' given the date of erection of the bridge as 1631 and name of builder as Mughal Prince Dara Shikoh. In additional remarks he states that the bridge was originally a little higher up.